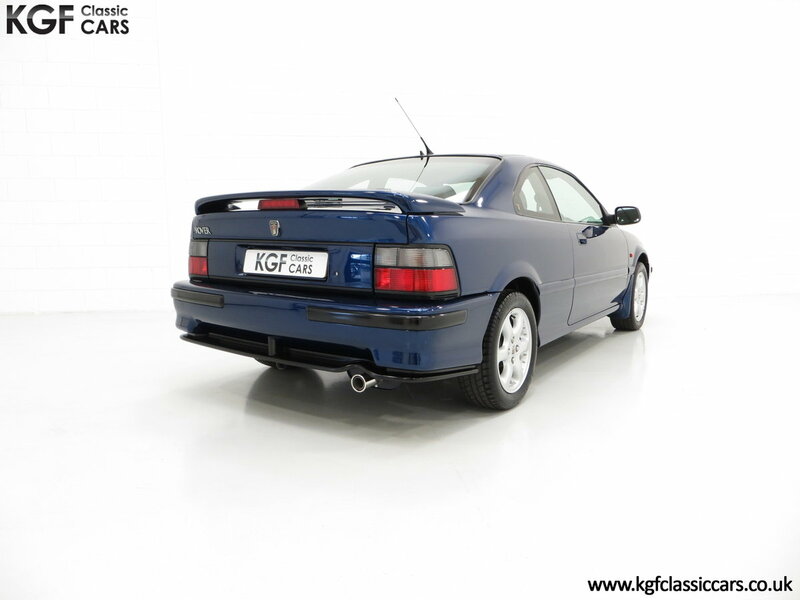 The holy grail of all FDH Rover 220 Turbo Tomcat Coupe’s with only 6,646 miles. T-bar glass roof with removable panels and holdall, tinted glass, side intrusion door beams, boot mounted spoiler, front foglamps, driver’s airbag, rake-adjustable sports steering wheel, lumber support, electric front windows with ‘one-shot down’ driver’s window, electric heated door mirrors, boot and fuel filler remote release, infa-red remote central locking, perimetric and volumetric alarm, digital clock, tachometer, lamps-on buzzer, 50/50 split folding rear seat, cassette storage. 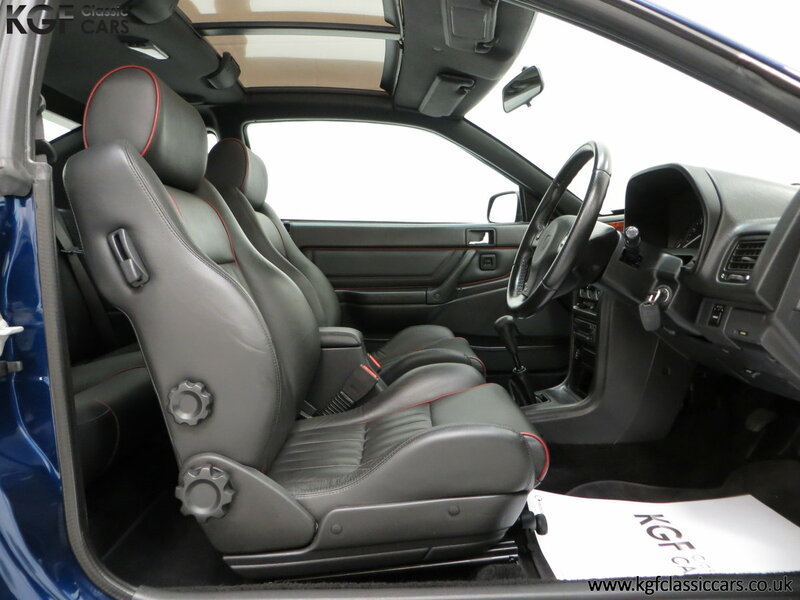 Factory Options: Pearlescent paint, air conditioning, leather trim, driver’s seat height adjustment. 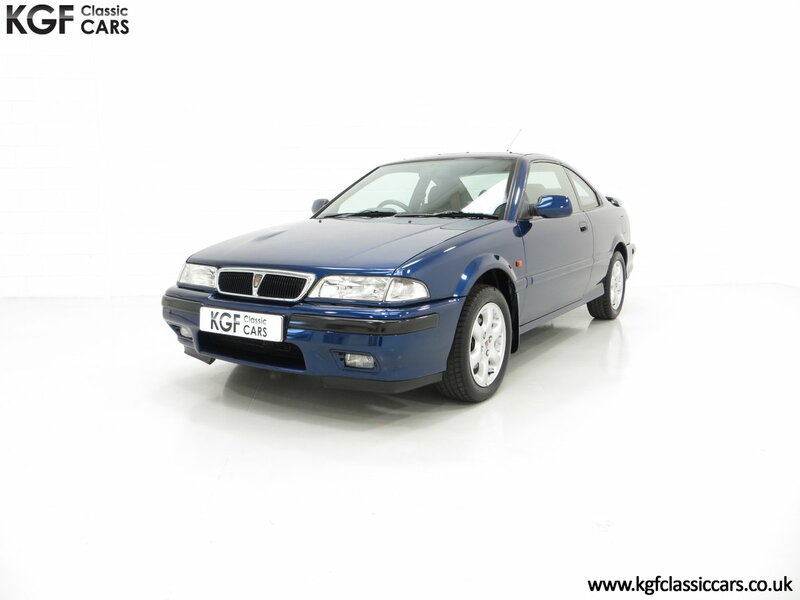 It is quite likely that this Rover 220 Turbo Coupe is the best in existence having covered an incredible 6,646 miles from new with one private owner. Finished in optional and desirable Pearlescent Tahiti Blue, (Code JRJ), the original factory finish is simply incredible and representative of a virtually new car aside from some insignificant marks. The Pearlescent paint, in the words of Rovers marketing, contains translucent mica particles to give the illusion of constantly changing shimmering colour, which in the sunlight is entirely true, beautiful. All body colour trim items, rubbers, Rover Triplex glass and light fittings are perfectly preserved and commensurate with such a low mileage and garaged from new example. Underside inspection will delight originality seekers with even factory stickers that have survived attached to the shock absorbers! The titanium coated T-Bar glass roof panels can be neatly stored in the original bag when not in use. Sinuous sporting lines and almost perfect. An atmosphere of sporting luxury is creating with this flagship model. The contoured seats with lumber and optional height adjustment are upholstered in unmarked full Ash Grey leather, (Code LNF). All carpeting has been protected by genuine ‘Rover Coupe’ inscribed velour mats and the Burr Walnut adorning the curved fascia is rich in colour having never been exposed to direct sunlight. All controls, gauges and warning lamps are operational. The bright door sill tread strips are unmarked and all door shuts are spotless. This incredible survivor displays its very low mileage with complete pride. The phenomenal 200bhp T-Series engine is a double overhead camshaft 16-valve design with an optimised induction system, modified cam timing and revised exhaust delivering 0-60mph acceleration in only 6.2 seconds and a top speed of 150mph. Regular maintenance and two cambelt changes, the last one in March 2019, will ensure optimal performance. The engine bay is factory standard and correct in every way and spotlessly clean. The 5-speed manual transmission is positive and the high torque is controlled by the fitment of Torsen torque sensing traction control system fitted as standard on the 220 Turbo. Wonderful. The unique 15” 6-spoke Turbo alloy wheels are pristine and shod in the factory Dunlop SP Sport 2000 195/55 ZR15 tyres with ample tread and no cracks. The spare remains unused and the brace and jack are wrapped still wrapped in clear film never opened! Diagonally split and dual-circuit servo assisted anti-lock disc brakes, ventilated up-front, offer assured straight line stopping power. Unique not only because this is a FDH registered car, (see model history), but also because of the incredibly low 6,646 miles covered with just one owner. 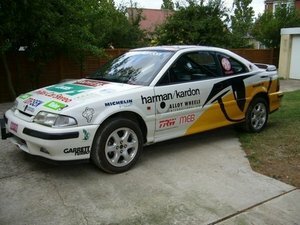 Registered new on the 3rd August 1998 by the Rover Group Ltd of Bickenhill, this car was subsequently sold to Mr Steve Jones through Rover Main Agents, Lex Rover of Chelmsford. 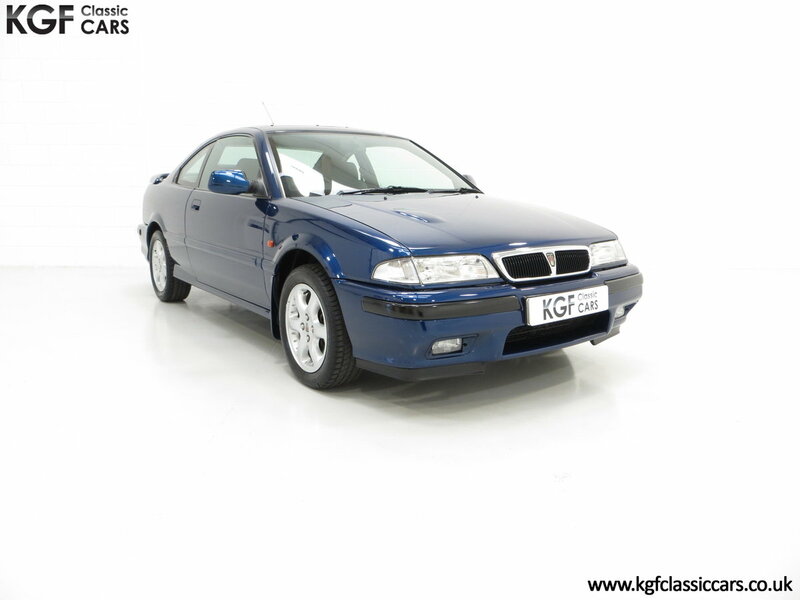 Mr Jones, a Rover owner for many years arrived in his 820Si at the dealership to buy the new Rover 75 and was disappointed to learn the car was still not in the showroom and launch was a few months away. Alas, his disappointment was short lived when he clapped eyes on this stunning Tahiti Blue 220 Turbo Coupe and a purchase was duly made! 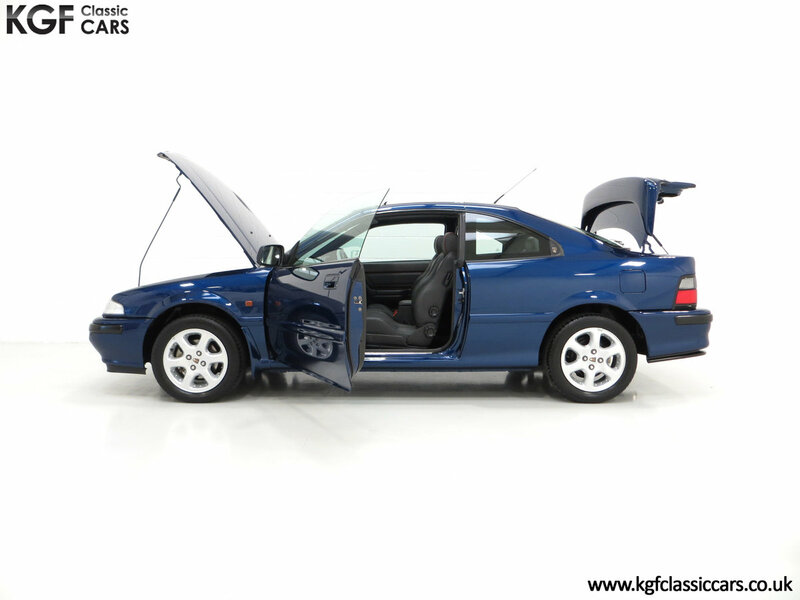 Being the proud custodian and business owner of SC Autos, this car has been carefully stored and maintained from new. In 2005 ownership was transferred to his business for insurance purposes. 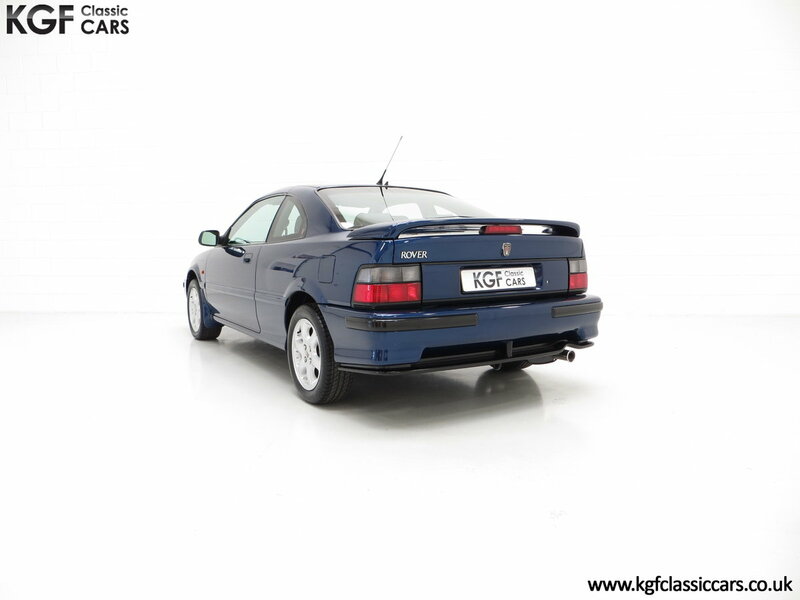 Virtually every MOT from the first to the current is neatly filed to warrant the mileage and all handbooks, spare keys and documentation is included within the original Rover wallet. A sales brochure, the FDH Real Story Article and other FDH information is included. It really does not get much better. 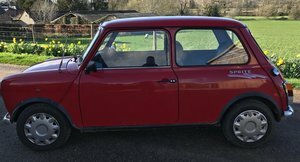 MOT March 2020, HPI Clear. Good condition car in a lovely Turquoise colour. 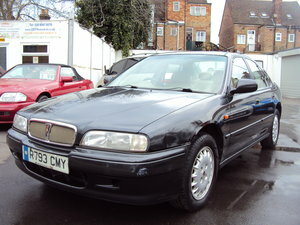 Full MOT, four door saloon, 123,000 miles. Electric windows, power steering, central locking, manual 2.0L T-series petrol. Rare vehicle and fast going up in price. 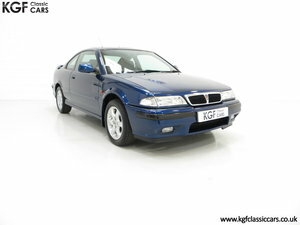 Rover 827 Sterling Saloon 145000 miles, drives superb overall very tidy car Nightfire Red Metallic .